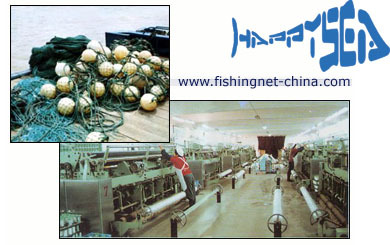 Happysea (Suzhou) Company Ltd. is a Leading Manufacturer of Fishing Nets, Twines,Ropes, Hooks, etc in China. With its advanced equipment (most of them are from Japan and Germany), Our products have been given the glory title "High-Quality Products" by Chinese Government and also enjoyed the markets in 22 countries in Europe, Africa, south America , Now it is one of the biggest Exporter of fishing tackles in China. Our Company is located in Suzhou--- one famous and beautiful city in China. You are always welcome to contact or visit us.